Famous Dubai Museums That’ll Let You Witness the Rich Arabic Heritage! Dubai Museum – Located at Al Fahidi Street, Bur Dubai, this is perfect for those who are more interested in understanding the transition of the historic city of Dubai to the modern city that we all see today. One can see antique monuments such as pottery, tombs and weapons, as well as a representation of life in the early days. 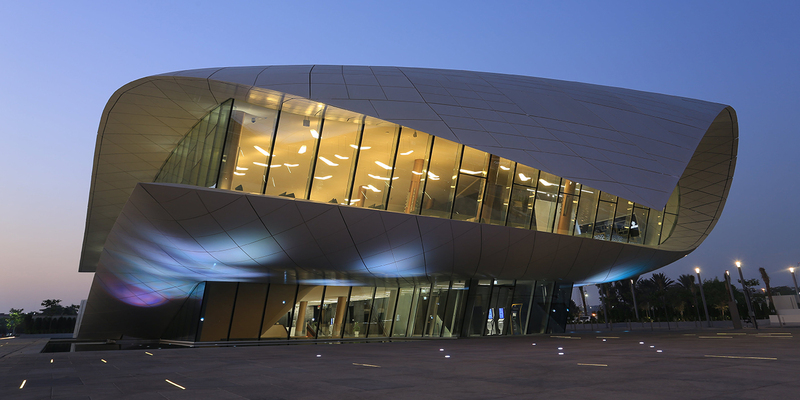 Etihad Museum – Telling the story of the United Arab Emirates, this is the newest and the most impressive museum of Dubai. It provides a totally educational and interactive experience for the history lovers. Sheikh Saeed Al Maktoum House – Located at Al Shindagha, the “Sheikh Saeed Al Maktoum House” holds utmost importance in Dubai’s history. Al Maktoum family which is the ruling family of Dubai resided in this place until 1958. This museum has an amazing collection of jewelry, coins, stamps and photographs of the royal family. Camel Museum – UAE is always known for its extreme love for camels. This museum showcases the rich history of the human-animal bond in the area. One can say that this museum sets a perfect example where technology, history and heritage come together at a single place. Pearl Museum – Considering the recent arena, the economy of the UAE majorly depends on oil. But this region has a great history of producing the finest pearls in the world. This museum is specifically designed to showcase the life of the divers and the equipment used by them. A lot of these natural pearls are displayed here. Naif Museum – This museum is located in an old fort that served as a prison and police HQ in earlier days. One can get enthralling insight into the development of the Dubai Police Force through life-size models, exhibits, and displays. Dubai's museums are an exciting place to explore the identity of the region and its native Emirati people. Whether you’re a tourist longing for an authentic dosage of Emirati times past or expatriate looking for an escape from the mechanized city life, we at UAE Driving assist you in finding the most affordable car rental options, making your visit to these museums truly worthy. Come to the world's fourth most visited destination to get a unique experience and link yourself with the region’s rich culture and heritage.